Not many of the 350 N. 2nd Street Townhomes and Loft units have changed hands in the last two years. 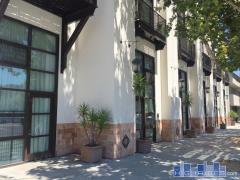 There are 62 Units at these Downtown San Jose Townhomes and only a hand full of transactions. Beautiful sun decks to enjoy. Have any comments or questions about 350 2nd Street? Ask your question and/or share your thoughts about this Building.